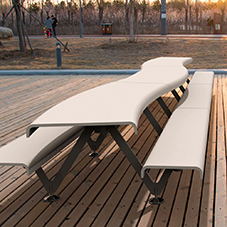 Artform Urban Furniture have introduced the Islolaurbana Seating and Planter Collection to their product range. 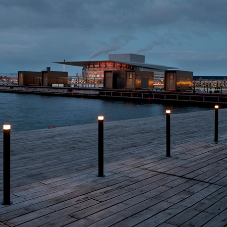 The product range, also referred to as Urban Island bases itself on a modern and refined selection of street furniture. It represents the dynamic plains of cities and urban spaces that have been built up over time to create a hub of social interaction. The bench tops are made of exotic Hardwood Timber or Ultra High Performance Concrete or sometimes a combination of both. 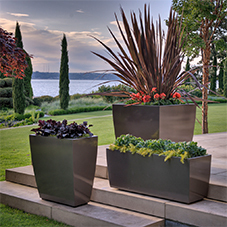 Steel planters with a shallow centre are also featured within the product, perfect for floral displays. All steel elements are galvanised and powder coated. 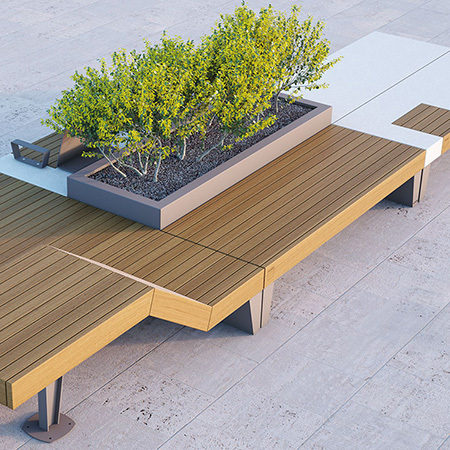 The benches and planters can be placed anywhere, they can be used to either create an ‘island’ or an individual element.